Take up to 40% discount on women's apparel at the HSANA Sample Sale. 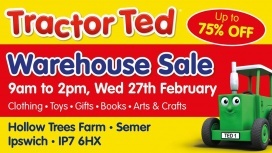 Take up to 75% discount on kids' apparel, toys, books, gifts, arts, and crafts at the Tractor Ted Warehouse Sale. Take up to 70% off on women's activewear at the Lorna Jane Active Warehouse Sale. Shop for tops, bottoms, jackets, fleece, hats, and accessories for men at discounted prices at the October's Very Own Warehouse Sale. Take up to 70% discount on women's activewear at the Lorna Jane Warehouse Sale. Take 20% to 80% off on jewellery, ceramics, textiles, and interior products at the Craft Central Saturday Sale. 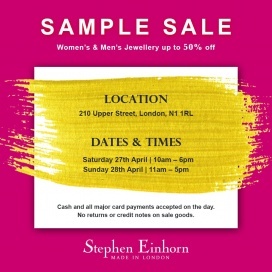 Shop for men's apparel and accessories at reduced prices at the Mimm Sample Sale. Jackets are available for £40, hoodies for £30, sweaters for £25, long sleeve for £15, tshirts and hats for £10 only. 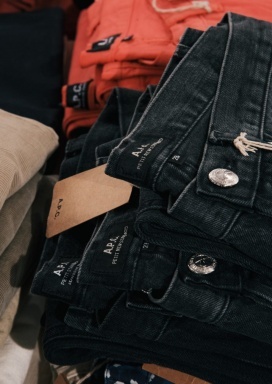 Take up to 80% discount on women's apparel and accessories at the Kj's Laundry Sample Sale. Brands included are Bellerose, Samantha Sung, Soeur, Ulla Johnson, MASSCOB, and Sessùn. Shop for women's accessories at reduced prices at the Skinnydip Warehouse Sale. 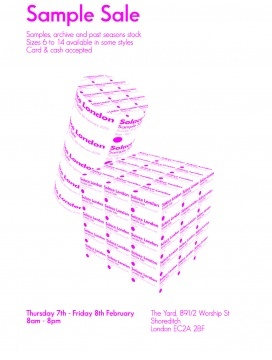 Shop for dresses, coats, leather jackets, jumpers, and pants at the Andaj and Friends Sample Sale. 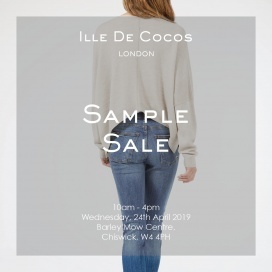 Brands included are Eva Roje, Cako, Stylensnitch, and Emilio de la Morena. Take 40% to 60% discount on women's headwear at the Stephen Jones One Day Sale. Take up to 80% discount on women's activewear at the LAAIN Sample Sale.